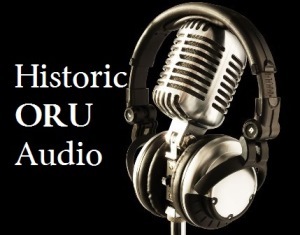 This is a recording of a sermon given by Oral Roberts at an Oral Roberts University Campus Revival on November 16, 1967. In this sermon Oral recalls the details of his early life, sharing personal stories of his family and religious experiences. Roberts, Oral, "My Early Life - 1967 Campus Revival #1" (1967). Historic Audio/Video. 4.